CAROLINA SOUL :: Soul Recordings from the Carolinas » Funga Alafia! If you attended public school in North Carolina in the last twenty years, the Healing Force quite likely contributed to your education. 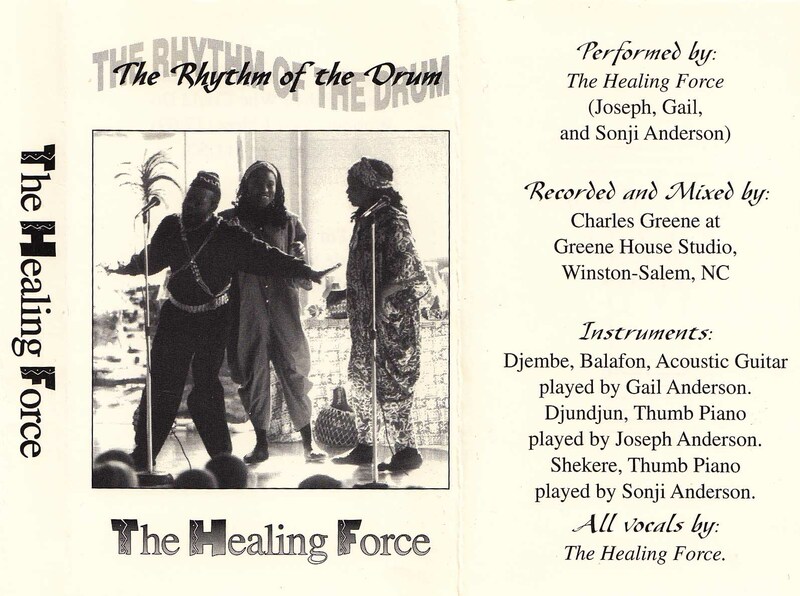 Formed by “Baba” Joseph and Gail Anderson in the late ‘70s, the familial unit created curriculum that combined story telling, lesson learning, and African drumming into one assembly-worthy affair. 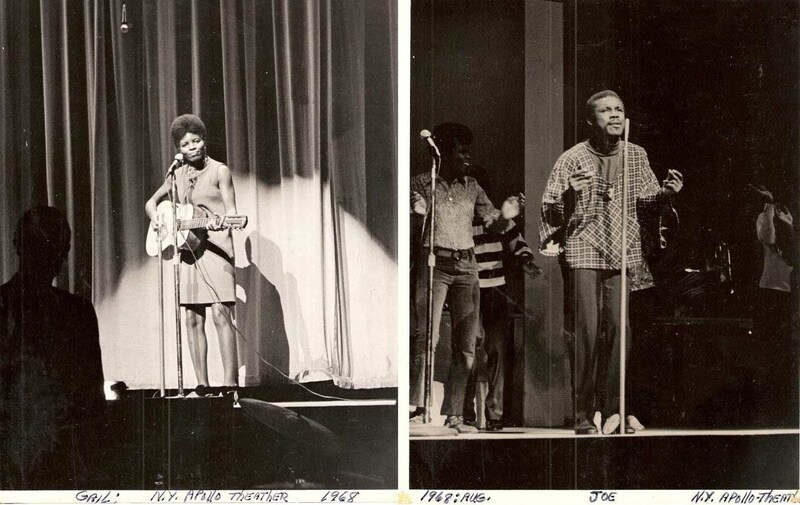 Although their most enduring selection “Funga Alafia,” can be sung in unison by pupils from Murphy to Manteo, Joseph’s musical career started decades earlier at Harlem’s Apollo Theatre. A recent transplant to New York City from Jacksonville, Florida, Anderson’s swampy accent frustrated notorious manager and music mogul Clarence Avant, whose only advice to the self described country boy in 1963 was “Go, live, and then come back.” When he did, he swept the Apollo’s notorious amateur night contest four weeks in a row, singing Tommy Hunt’s “Human.” On the strength of his performance, he was invited to join the Apollo’s in-house theater company, Listen My Brother, where he met his future wife and Winston-Salem native, Gail. Two records materialized on Ben E. King’s Atlantic subsidiary, Heidi, giving the world “So Glad” b/w “How Long Will It Last” and “I Can’t get Enough of You” b/w “Don’t You Know.” Before the end of the ‘60s, the couple left Listen My Brother (Just missing the arrival of Luther Vandross) to form the message music duet, Deuzez (pronounced: Deuces). The possibility of getting back into commercial R&B music was appealing to Anderson, who had since gained employment driving a gypsy cab. A songwriter and ally David Jordan penned a few love songs for Anderson, which found favor with disco foundry Buddah Records, who minted “(Your Love) Gives Me Fever” b/w “Forever Grateful” on 45. Sung in an Isley fashion and brandishing the disco badge of honor that is “A Tom Moulton Mix”, the record was projected to be a modest hit for the reinvigorated singer. “You and I” followed later in the year, but a series of Payola investigations and Buddha’s dodgy mob ties sent the Anderson’s for Gail’s hometown of Winston-Salem in 1976, abandoning pop music for good. The Healing Force started with Joe and Gail, and incorporated their growing family as the years went on. Their live show has changed very little over the years, and “Funga Alafia” is still the group’s signature song. It is a Yoruba chant whose lyrics “Funga alafia/ashe ashe” translate loosely into “I welcome you into my heart/amen amen.” Perhaps it is the call-and-reponse attributes of the West African folk song that resonates with young people so well. The way it is sung with a smile, or the simple and positive message it impresses upon young minds. Whatever it is, “Funga Alafia” is part of our shared history as North Carolina public school alums, and we are no doubt better adults, friends, and neighbors for it.